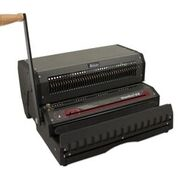 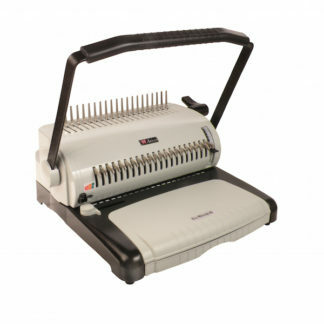 The Akiles WireMac-E electric punch and wire closer makes double loop wire binding easier. 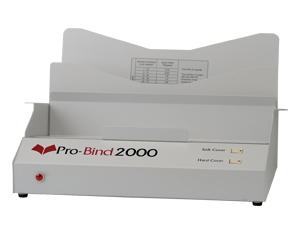 The electric foot-pedal-operated punch and wire closure will keep your binding process running smoothly, while the open punch throat & continuous punching guide, margin control settings, and the wire closer control ensure that you get perfect, professional results every single time. 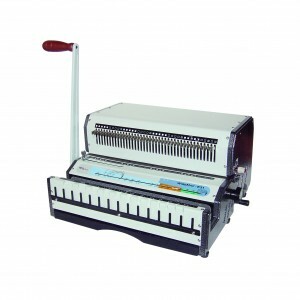 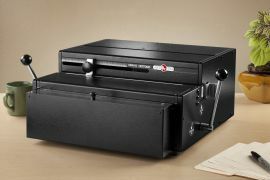 If you’re looking for a heavy-duty commercial-grade double loop wire binding machine, you can’t do better than the Akiles WireMac-E.